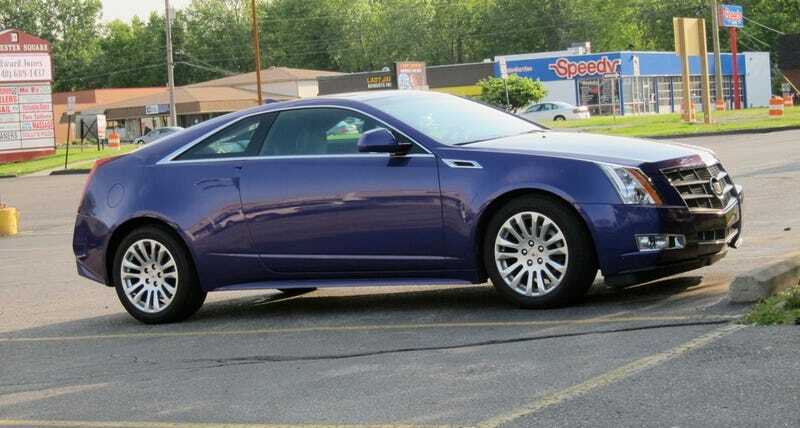 Who bought the purple people-eater edition Cadillac CTS Coupe? I happened across this Cadillac CTS Coupe on my way out to the bar in Rochester Hills, Michigan this weekend. Somehow I don't think this color is a factory option. But I kind of think it should be — if only so that Samuel L. Jackson has a car to match his lightsaber.